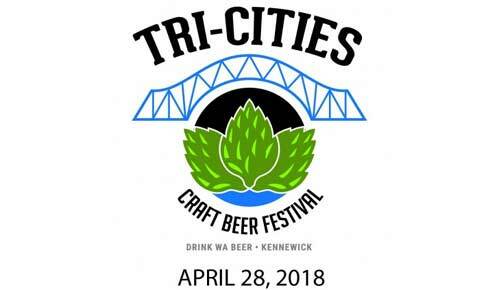 The Washington Beer Commission invites you to join them at the Southridge Sports and Events Complex in Kennewick for the 2nd Annual Tri-Cities Craft Beer Festival. The event features 36 Washington craft breweries pouring more than 100 beers. This is a 21+ event and no pets are allowed. Tickets on sale now. The Commission says that this will be an indoor/outdoor affair to allow you to enjoy the lovely spring weather. All the event details are below. Here’s a list of the participating breweries. The list of beers is coming soon. Food will be available for purchase onsite from a selection of local food trucks. For other food options, the Tri-Cities Craft Beer Festival encourages you to visit one of the many terrific local dining options for lunch or dinner. Paid attendees may re-enter the event by showing their wristband and ID. Washington Beer Lover members receive two bonus tokens when they present their member passports. I attended last year. It’s an interesting event and is cool to be able to drink beers from breweries we don’t see much of on the westside. I must say this was the first beer festival I’ve ever been to that didn’t have a giant line waiting before it opened. I was there five mins before opening and was number 2 in line. The inside was also kind of weird. I would have preferred an outside venue, but it’s super windy there that time of year and still a bit cold so I get the inside. It was just a funny setup since I and numerous people said it felt like a junior high dance because the middle was a huge open space with a few sparse tables with the breweries ringing the whole thing. I had a pretty good time though and went to a couple of fun taphouses after.